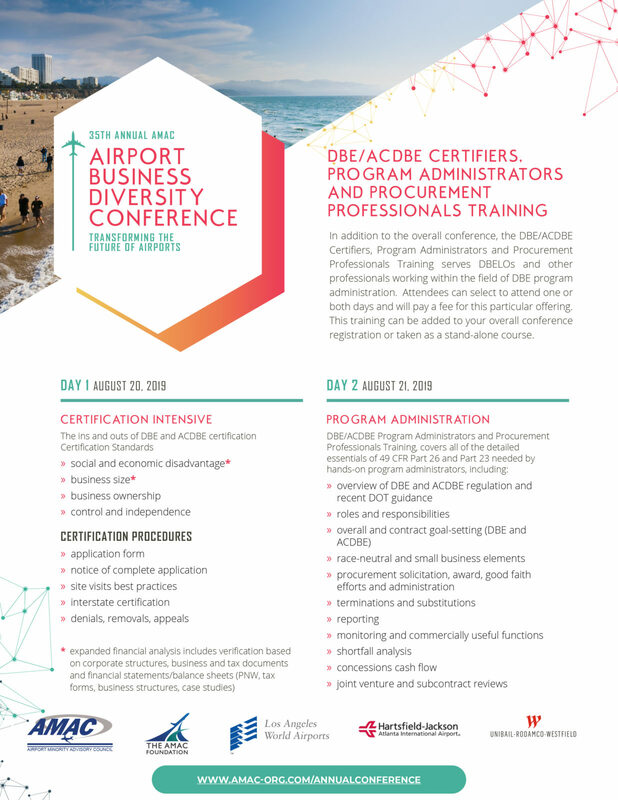 Day 1 (Certification Intensive) Tuesday, August 20, 2019 | 8:30 am - 4:00 pm - The ins and outs of DBE and ACDBE certification. Day 2 (Program Administration) Wednesday, August 21, 2019 | 8:30 am - 4:00 pm - DBE/ACDBE Program Administrators and Procurement Professionals Training, covers all of the detailed essentials of 49 CFR Part 26 and Part 23 needed by hands-on program administrators. Additional registration is required for the DBE/ACDBE Liaison Officer & Program Administrators Training. One day and two days registrations are available.